Since 1937, U.J. Ramelson has combined age-old traditions with advanced technology to provide the best possible product. This commitment to excellence lives on, as a third generation of owners continues crafting the highest quality items right here in the USA. 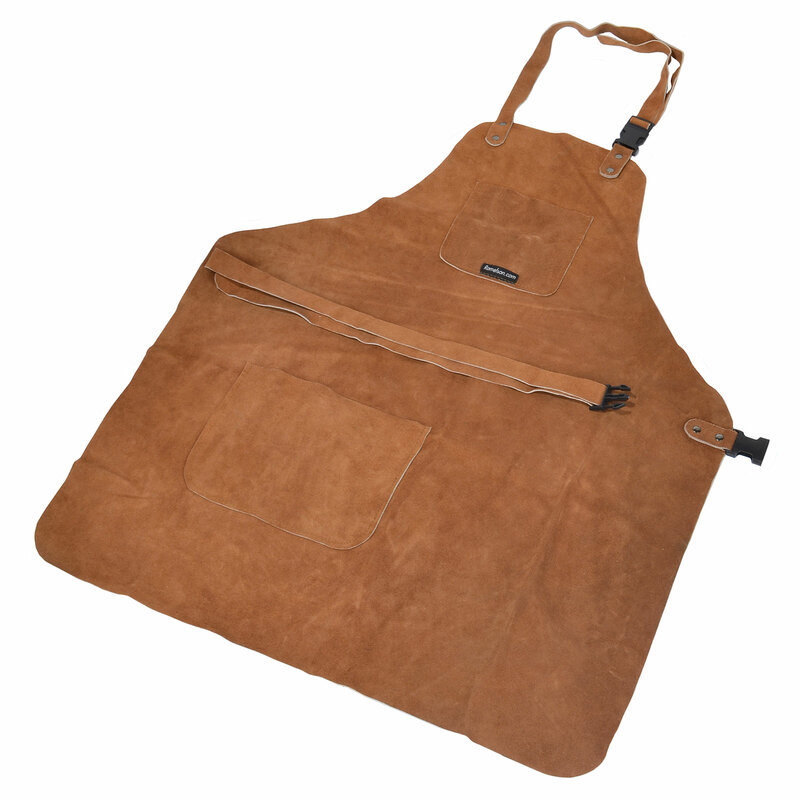 3-Pocket Suede Leather Carver's Apron is the ultimate in safety and comfort. Most carving tools will not "grab" leather, bouncing off harmlessly instead. Large (6-1/8"x 8"), medium (4-3/8"x 4") and small (4-3/8"x 1-1/8") pockets provide room for most carving tools. Buckle fastener allows for an adjustable fit. No more strings, this is a Snap and Go to work apron. Outstanding apron. Made a few mods to the straps by gluing them together. Made them stronger and safer. The extra leather hanging down after adjusting seemed dangerous to me being a disabled shop DIY guy. Now simply snap and go to work. Makes you wonder why others use a string for something designed to keep you safe. I have ordered more side connectors and straps and doing the same to 3 other aprons I own. Great job Micro-mark.